An emotional intelligence test is almost always near the top of every employer’s wish list when it comes to the most valuable assets a job candidate can offer a hiring manager. 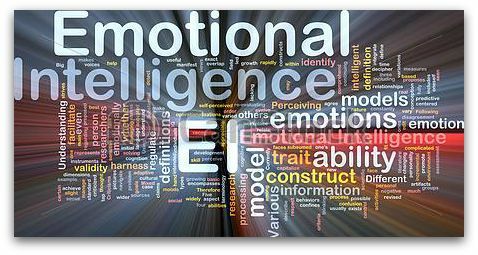 Emotional intelligence (EI) has a surprising relationship to success in a business setting. MetLife, for instance, has found its sales associates who score high in EI outsell those with low EI by an average of 37 percent during their first two years of work. Your college student with cerebral palsy (CP) probably possesses EI skills, but they may be under-developed and an untapped resource. A youngster is not born to do well on an emotional intelligence test. EI is learned (unlike an individual’s intelligence quotient) -- first from you, as a mom or primary caretaker, and then from others, such as a mentor. You are resilient to stress, enabling you to very rapidly calm and refocus yourself under trying circumstances, according to Jeanne Segal, Ph.D., a psychologist, sociologist, popular speaker, and internationally recognized author. For instance, she says, you use gentle humor to help you say things that might be difficult without creating a flap and use appropriate eye contact, facial expression, tone of voice, touch, posture and gesture to show you’re paying attention to others. You have the potential to identify your own and someone else’s emotions and feelings, you use these emotions and feelings in constructive ways, you can sense someone else’s complex feelings that he wishes to conceal and you can crack a joke and cheer others on a team by saying the right thing at the right time, says Carlos Todd, LPC. You form optimal relationships with other people through the attributes of hope, empathy, trust, integrity, honesty, creativity, resiliency, consequence-thinking and optimism so you can build stronger social networks and manage difficult situations, write J. S. Stein and H. E. Book in The EQ Edge: Emotional Intelligence and Your Success (Jossey-Bass, Hoboken, N.J., 2006). You see the positive side of stressful situations and empathize with the less fortunate, states study team leader and psychologist Robert Levenson, University of California- Berkeley. But, the two most intriguing characteristics of an emotional intelligence test that I’ve found are these (again from J. S. Stein and H. E. Book): the ability to delay gratification in pursuit of long-range goals and the ability to “unlearn” helplessness and hopelessness when faced with adversity. My CP has helped me develop those two EI attributes: ability to delay gratification and the ability to "unlearn" helplessness. At age seven, for instance, I remember riding the Greyhound bus from a small town near our farm to an orthopedic school in our state’s capital city each Monday morning with tears and dread. I did not want to leave home for the whole week and live with my week-day parents, even though they were kind, loving and gentle. I wanted to be home because my mom was sick with cancer, and I was afraid she would die, and I would be alone. But, we managed the situation as a family for seven years. And, by doing so, I learned a bit of what it was like to live independently and how to relate to different types of people and how to be patient -- skills I needed when I got my first job as a newsletter writer. During the first week on that job, I learned that the newsletter’s small-town printer was using hot type (from the Gutenberg days) instead of an offset printing process, which was the latest innovation in the early 60s (before the digital revolution). And, I also learned he had a drinking problem. That explained why some of the photos in my newly adopted newsletter often seemed to be crooked and not exactly square. I had the urge to change printers immediately because it reflected my own work. But, I also soon recognized small-town relationships with local merchants were important to my supervisor and my company. So, I bided my time and eventually gained an opportunity to choose another printer for my newsletter -- some three long years later. Living with CP perhaps taught me how to delay gratification, but it did not always serve me well in taming my impetuous nature. Even as a 20-year “veteran” on the job, I could become impulsive, rash, hotheaded, and inconsiderate of others. In 1987, I became totally convinced (with the enthusiastic backing of my staff) that the company, to survive, needed to change its top-down management style to one that was more team-oriented and participatory. And, I had helped senior management step through a selection process for choosing a management consultant who could help us make that transition. I had people on my own staff who were ready to “jump ship” if some drastic changes in our way of conducting business were not made. “Did I hear you right?” he calmly asked. I diffused the situation quickly. Without realizing it, I was also demonstrating my EI and developing my own emotional intelligence test. "Anyone can become angry; that is easy. But to be angry with the right person, to the right degree, at the right time, for the right purpose, and in the right way -- that is not easy." Aristotle knew about the right emotional intelligence test before EI became a buzz word. Then, encourage your youngster to develop a brief narrative which illustrates that connection. Discuss how it can be applied to a prospective employer’s circumstances. That brief story, used strategically during a job marketing campaign, can help your college student successfully make the transition from school to work -- and find the right job with the right employer.